This is a tale about how I supremely failed at making Christmas cookies this year. This post also contains a Pinterest fail. I know that it's almost May, but bear with me people. At the beginning of December, I started to think about what kind of gifts I should get for my supervisors. Because I'm poor (dang student loans!! ), I decided that a homemade treat would be a great option. 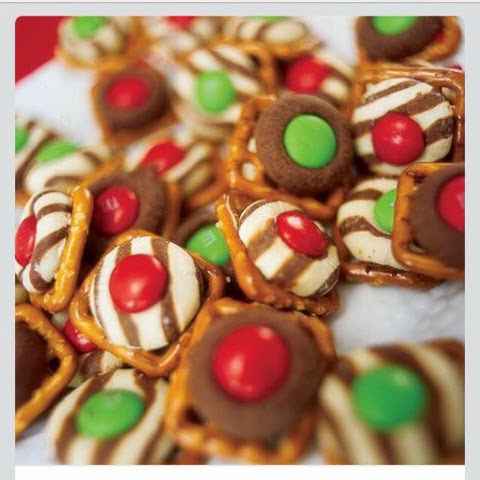 This way I could make some for my supervisors, and then Dave and I could eat some treats too. One, because they're beautiful, and two because who doesn't like a sweet and salty treat? But I had the great idea to use all different chocolate candies to make more variety. Because ALL the kinds is better than some. Because more is better and we want more. But if you refer to the photo at the top of this post, you will see how this seemingly easy recipe turned into my personal nightmare. I went through five freaking batches of these before they turned out right. 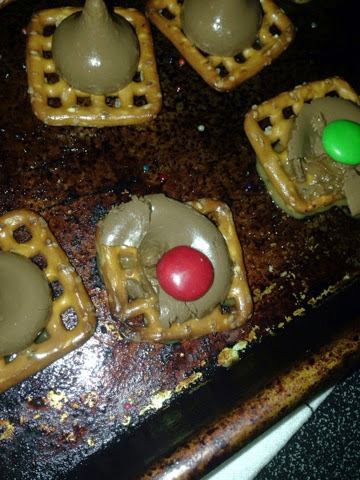 Everything you could possibly imagine went wrong--the chocolate didn't melt, or it melted too much, or whatever filling that was in the candies (either caramel or peanut butter) had leaked. 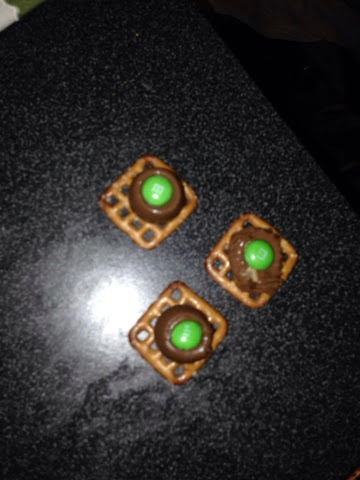 And throughout this process, just in case one batch actually worked, I had to continue to sort m&ms for just the red and green ones, and make sure that all pretzels were in tact. It eventually worked. And at approximately 2:00am I got the gifts wrapped to give on the 23rd. My baking skills might need a little bit of work, but I learned a bunch by doing this. And my supervisors ended up loving it. One of them ate a whole tin that same day. So... Pinterest 1, Alex 1/2. And that is only because I'm generous.